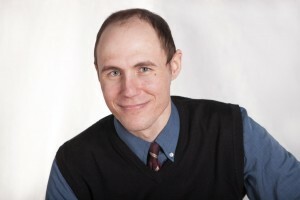 This is a guest post by Brian Tarr of iSpring. Before finding an outlet for his talents – both tech-savvy and creative – Brian Tarr worked as an iSpring tech support pro for two years. Now that his latent writing abilities have finally been discovered, iSpring website visitors enjoy reading his every single article. Always full of humor, his work is invariably built on a solid foundation of research and facts. A PowerPoint PPTX file is what you use most of the time for your presentations. But in certain circumstances, you may find that it doesn’t do the job. In these cases, you can convert the PPTX to and EXE (executable) file. 1. Compatibility issues: Your viewers might not have PowerPoint! The independence of self-running executable files sets them apart from all other formats. The recipients of your EXE presentation will be able to view it with or without PowerPoint installed on their computer. On the contrary, presentations in PPT or PPTX can only be opened with certain versions of Microsoft PowerPoint, depending on what version they were created in. Wouldn’t that be frustrating not to be able to deliver a truly beautiful presentation with its animations, transitions, and triggers? Content authors are sometimes hesitant to share source PPT or PPTX files because they want to protect their presentations from unauthorized use. Executable files cannot be changed or copied because they are non-editable. So, if you wish to send a presentation to your students so that they can watch it but not modify it, opt for EXE format. However, this is not the only way to protect your copyright: we’ll demonstrate other simple methods later in this article. A simple way to convert your PowerPoint presentations to EXE, even without saving them as PPT or PPTX first, is to use a PowerPoint converter. Once you install it, you have a new tab added to your PowerPoint ribbon from which you can instantly access all the new capabilities. Apart from EXE, the tool allows you to convert presentations to HTML5 or Flash online formats. Download and install a PPT converter. This is from iSpring. Launch PowerPoint. Click the added tab as demonstrated in the screenshot. As you can see on the new tab, there are a number of ways in which the converter helps enhance original PowerPoint presentations. For example, you can easily insert a web object, or record an audio narration with it. Click the Publish button on the converter’s ribbon. The Publish Presentation window opens. Here you need to indicate the title and destination for your presentation. From the Output Options, choose Executable (EXE) format. Set up protection options, as shown here. You can protect your copyright in various ways. You can use a few methods simultaneously, or choose any particular one. In order to use a watermark, choose the Add watermark checkbox and then upload an appropriate image. To equip presentation with a password, click the Protect presentation with a password checkbox. Type in the desired Password, then enter it once again in the Confirm password field. You can also limit the playback of your presentation in time by selecting the Display after and/or Display until checkboxes and choosing a date in the pop-up calendar. This way your presentation will be only displayed before and/or after the indicated dates. Since we’ve chosen EXE as an output format that should be downloaded to a local computer, we don’t need to use the Domain Restriction option. Learn about other Protection Settings here. Now click the Publish button which is at the bottom of the Publish Presentation window. Once the conversion process is finished, you see a preview of your presentation in an opened window. As you’ve probably noticed, with the PPT Converter you can also save presentations as HTML5 and Flash. In contrast to a self-running EXE that can launch without any additional programs, viewers must have a browser to open these files. It’s important to keep in mind that executable files work only on Windows and are not supported by Mac, Linux, or any mobile device. Furthermore, it may be a difficult task to email an EXE file, because anti-malware tools often automatically block executable files. When sharing a presentation online, HTML5 and Flash formats are invaluable formats. Learn the 5 best ways to share your PowerPoint presentations online, and select the best option according to your needs. EXE format is often chosen thanks to its independence: executable files don’t require any application or even PowerPoint in order to be launched. When you choose the best tool to convert your PPT presentations to EXE, it’s essential to make sure it retains the exact look of the original presentation. The iSpring software is based on AccuPoint and HyperPoint technologies that convert PowerPoint presentations to EXE, HTML5 and other formats with the highest accuracy. Don’t hesitate to download a PowerPoint Converter, and start converting your presentations for both online and offline formats for perfect playback on any device. 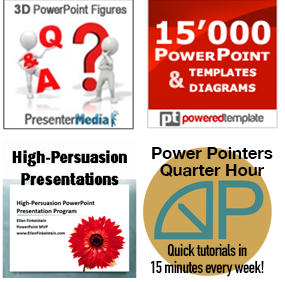 Have you been looking for a solution that doesn’t require your viewers to have PowerPoint? Do you want to protect your files? Have you used iSpring’s converter? Leave a comment! And please use the Share buttons below to share this post, because others might find it valuable, too.